Experience Red Wing Through Music! The Sheldon Theatre is proud to serve as a mainstage venue and also provide full box office services for the Big Turn Music Fest. 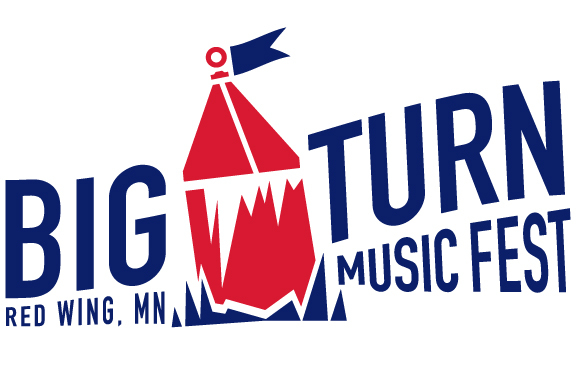 Big Turn Music Fest is a multi-day, multi-genre, multi-venue music festival. We are anticipating: 100+ bands, 14 venues, 2 days. There will be multiple venues operating simultaneously. People who purchase wristbands will have the freedom to walk in and out of venues to see the music lineup of their choice. Purchase passes online, by phone, or in person. Then, come to the Sheldon box office during the festival February 22-23 to redeem for a wristband. Do not select to mail your tickets. Venues are first come first served. Depending on the capacity, there may be a waiting period. VIP includes access to the artist hub and hospitality and exclusive access to the Sheldon 3rd floor studio. The BTMF team is working with local forecasters to determine if there are additional actions that need to be taken. Right now, the weather isn’t too bad, the show will go on as follows for both Friday and Saturday. PLEASE take your safety into consideration when traveling – leave early, drive slowly and consider booking a hotel if you’re traveling from afar and be prepared with your parka. Updates will be shared via BTMF social media channels (Facebook, Twitter, and Instagram) and email if the BTMF team feels it’s too unsafe to travel. Communications will be shared as soon as any difficult decisions are to be made. Tickets only available at the Box Office Friday and Saturday. No online sales. Do NOT select the mailing option when ordering. Wristbands will need to be picked up in person week of.